Stacey Chavis is a Public Policy Consultant. She works with nonprofits to develop their public policy, advocacy and legislative agendas. 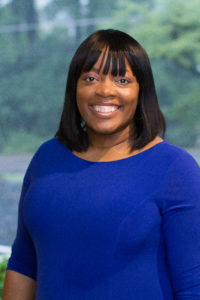 In the community, Stacey serves on the United Way of Greater Atlanta, Board of Directors as Public Policy and Advocacy Committee Chair and the Wellspring Living Board of Directors. Previously, Stacey served as Vice President of Advocacy & Initiatives on the Junior League of Atlanta Board of Directors. She served on the Commercial Sexual Exploitation Committee and as Political and Public Affairs Committee Chair. Stacey received the Rising Star Award from the Association of Junior Leagues International for her work on the commercial sexual exploitation of children. A native of Mauldin, South Carolina, Stacey is a graduate of Oglethorpe University and serves on the Alumni Association.